Over the past few years, I have really enjoyed finding local sources for food. I’ve been thrilled with the quality of cheeses, baked goods and meats we’ve been able to find. While I’m a vegetarian, I do not mind feeding my family grass-fed, organic meats. We want our kids to grow up feeling connected to their food, so when they are older they’ll continue making wise food choices. By exposing them to small family farms and allowing them to have a role in growing their own food they’ll be able to make that connection. Farmers markets are a fantastic way to get kids connected with their foods. I’m so excited that New Harvest Farmer’s Market is opening next week. It’s fantastic to see the farmers each week and buy directly from them. 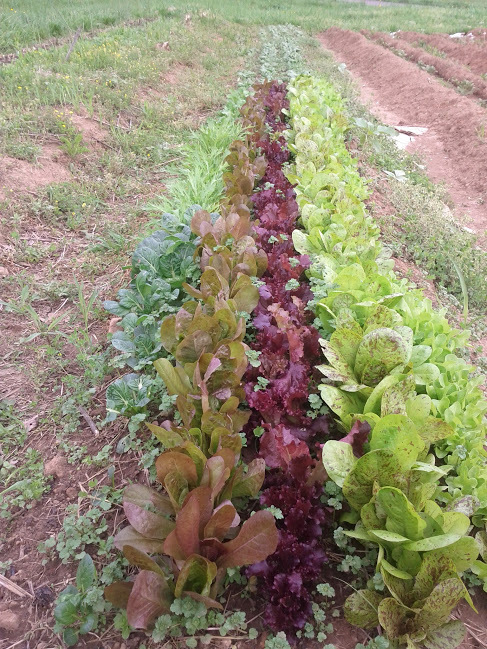 If you are local to the Knoxville area you may be interested in contacting Green Chin Farms they do deliver weekly to South Knoxville. Call Morel at 865-933-0855. 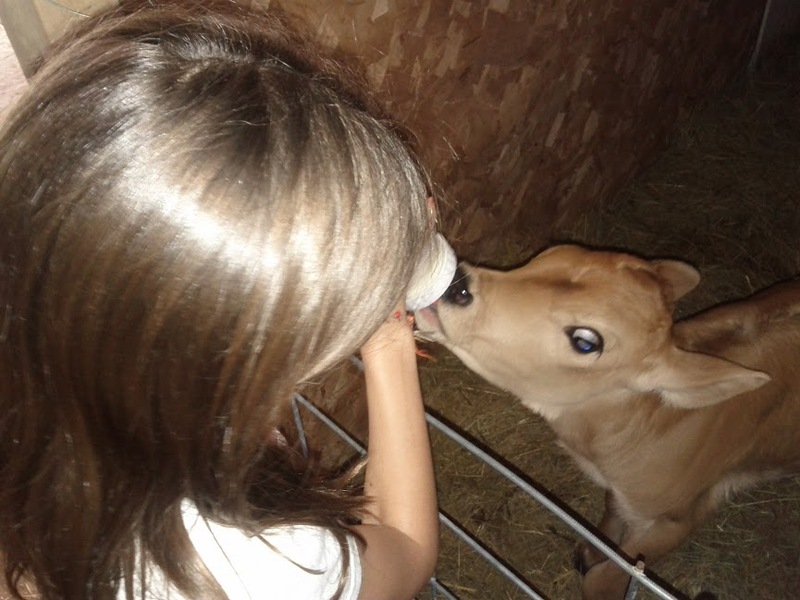 I’ve written before about “our” cow, Crema.We participate in a cow’s milk and Goat cheese share at Green Chin Farms. She gave birth to a beautiful little calf on Monday. 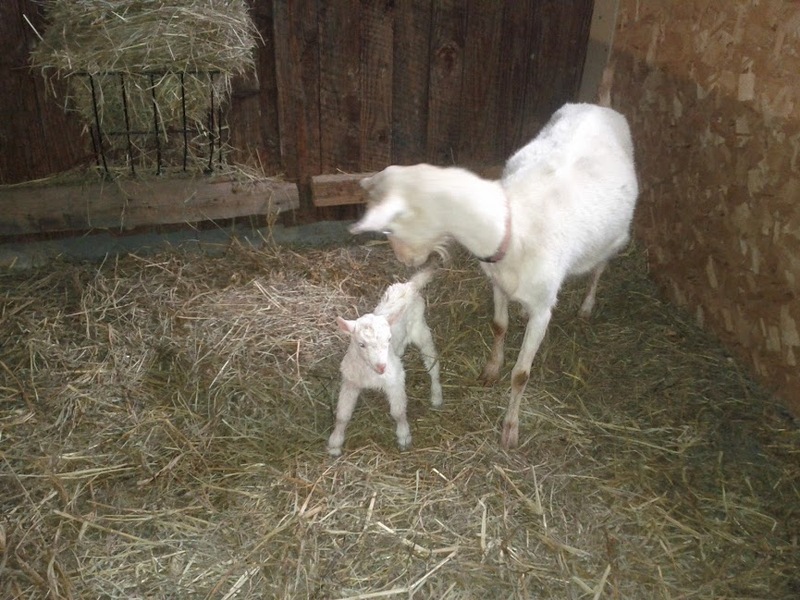 This morning one of the goats gave birth. So we were fortunate enough to go see the new babies on the farm. We were also able to see the new chicks and check out the organic vegetable garden. It was a great field trip. I think it’s very important for children to understand the difference between small family local farms and large factory farming institutions. As they get older, this helps them understand the reason for the supporting fast food places and eating ‘cheap’ food. So are you curious what we ate for days 4 and 5 of the Real Food Challenge? Breakfast-Dippy eggs and toast. We also had a few breakfast casserole muffins left that we finished eating. Lunch-I roasted a large pan of vegetables including beets, fennel, Brussel sprouts, onions, carrots and cauliflower. I drizzled them with a bit of olive oil and seasoned them with salt and pepper. We ate the roasted veggies with the rest of the tomato caper salad. Dinner- I made Eggplant Involtini * with a side dish of sauteed spinach with lemon. It was beyond delicious. I’ve always enjoyed Eggplant Parmigiana when it’s fried crispy. I wasn’t sure if I’d like the eggplant in it’s more natural state. It was a rich and creamy dish. It was just me and the kids for dinner and we really enjoyed it. Even my three-year-old ate up two of the eggplant roll-ups.I will make this recipe again. I’m already looking forward to eating the two small rolls leftover. Snacks-Lemon Ice cream, smoothie popsicles, dehydrated fruit. Breakfast- Whole Grain Pancakes. My mom shared with me a great recipe that includes whole wheat flour, rolled oats, flax seed and yogurt. I can post the recipe if anyone is interested. We topped the pancakes with bananas and maple syrup. Lunch- Remember when I made rice and beans earlier in the week. I cooked a large batch of kidney beans, so I used the remainder of the beans to make Kidney Bean Soup. We enjoyed the soup with some whole grain rye crackers that I was able to find at Big Lots. The soup is a recipe from my husband’s mother. I hope to post it soon. This is also what my husband took to work for his lunch. Dinner-We had some leftovers built up so I decided to clean out the fridge. I dove into the Eggplant Involtini. The kids enjoyed some Broccoli Gribiche, roasted veggies and eggs.